As part of an ongoing commitment to the community, Realty Executives Premiere of Eureka, MO recently raised over $30,000 dollars for the Eureka Police Officers Support Fund (EPOSF) during its Third Annual “Big Dawg Poker Bash and Silent Auction.” Over 150 community members attended the annual Realty Executives Premiere Big Dawg Poker Bash to support the local police department. The event made history, with the most money raised yet in the event’s history. EPOSF was founded in 2016 and created to champion community support, partnership and outreach for the professional men and women who serve Eureka Police Department. EPOSF exists to help support the financial needs of the Eureka Police Department, Eureka officers and their families during times of crisis or disaster. Realty Executives Premiere is operated by Brokers Chuck and Kim Maher, serving the St. Louis, Franklin and Jefferson counties. Throughout the years, Realty Executives Premiere has been focused on giving back to the local communities and being active in fundraising events and charitable organizations. 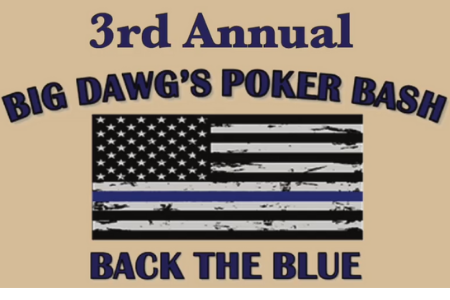 “We are very passionate about this fundraiser that benefits our own Eureka Police Officers. We love supporting our community and are excited to break the record again next year,” Broker Kim Maher said. Along with the EPOSF, the brokerage has worked with Byrnes Mill police department “shop with a cop” program, and has bolstered the USMC Toys for Tots program, the Marine Focus group and more.